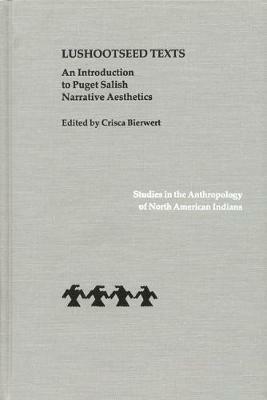 This volume introduces the oral literature of Native American peoples in Puget Salish-speaking areas of western Washington. Seven stories told by Lushootseed elders are transcribed and translated into English, accompanied by information on narrative design and cultural background. Upper Skagit elder and cotranslator Vi Hilbert, a 1994 recipient of the NEH National Heritage Fellowship in Folk Arts, includes a cultural welcome and offers childhood reminiscences of the storytellers. Cotranslator Thomas M. Hess, associate professor of linguistics at the University of Victoria, parses the beginning lines of a text to show the grammatical structures; he also includes his recollections of working with the storytellers in the 1960s as a graduate student. Editor and cotranslator Crisca Bierwert, assistant professor of anthropology at the University of Michigan, provides information on the processes of language translation and of rendering oral traditions into written form. Annotator T. C. S. Langen, who holds a Ph.D. in English literature and is a curriculum developer for the Tulalip tribe, provides analyses of Lushootseed poetics. The book includes information about purchasing audiotapes of the stories.